This great Easter plate is a must have! Leave some "Nibbles" out for the Easter bunny. This cute plate comes in two sizes and you can enter the wording for the bottom half of the plate. You can also include a message on the back of the plate. 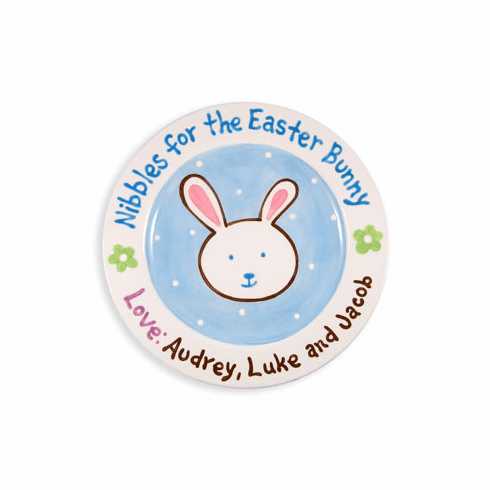 Make this Easter really special with this keepsake! Each and every plate is hand-painted and signed by artist Kathleen Virtue. Her trademark is the wonderful detail on each plate. All plates are dinnerware and dishwasher safe.